Thomas Aquinas says that Scripture transcends science and that Christian doctrine must be founded on the literal sense. Medievals read the book of Nature through the interpretive lens of the Bible. By way of contrast, modern thinkers often reverse the hermeneutical polarities. Both scientists and theologians want to say something about the world, its material nature, intelligibility, and origin. This lecture poses general questions about doctrine and its biblical basis before dealing with the specific discourse of creation. It will be argued that the “creation project” is ultimately a triune project (an economy) whose aim is summation in Christ. From this vantage point, the lecture concludes with some observations about the place of dogmatics in the discussion about the relationship between astrophysics, metaphysics, and biblical poetics. 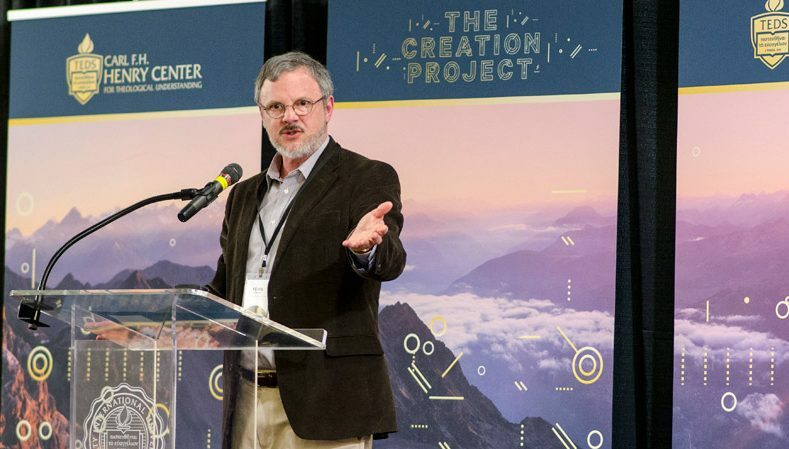 Kevin Vanhoozer (PhD, Cambridge University) is the Research Professor of Systematic Theology at Trinity Evangelical Divinity School. Widely published, some of his more prominent books include Is There a Meaning in this Text? The Bible, the Reader, and the Morality of Literary Knowledge (Zondervan, 1998), The Drama of Doctrine: A Canonical-Linguistic Approach to Christian Theology (Westminster John Knox, 2005; Christianity Today Best Theology Book of the Year, 2006), and Biblical Authority after Babel: Retrieving the Solas in the Spirit of Mere Protestant Christianity (Brazos Press, 2016).